In July 2018, the Office of Tax Simplification (OTS) published a paper, Platforms, the Platform economy and Tax Simplification. The paper examines ways in which the taxation system could be simplified for gig economy workers who work through an online platform, such as Uber or Deliveroo. Although the paper contains a number of different proposals, one in particular has garnered attention – namely, the proposal to introduce an optional PAYE-style withholding system from certain workers who operate on online platforms. The OTS’ preoccupation with the gig economy is not new. Since December 2016, the OTS has published reports considering the tax issues that have arisen as a result of the growth of the gig economy and the number of people working through online platforms. These issues impact a wide number of stakeholders, including the individuals working in the gig economy, the online platforms, and HMRC and the Exchequer themselves. This latest report by the OTS is the third on the gig economy. 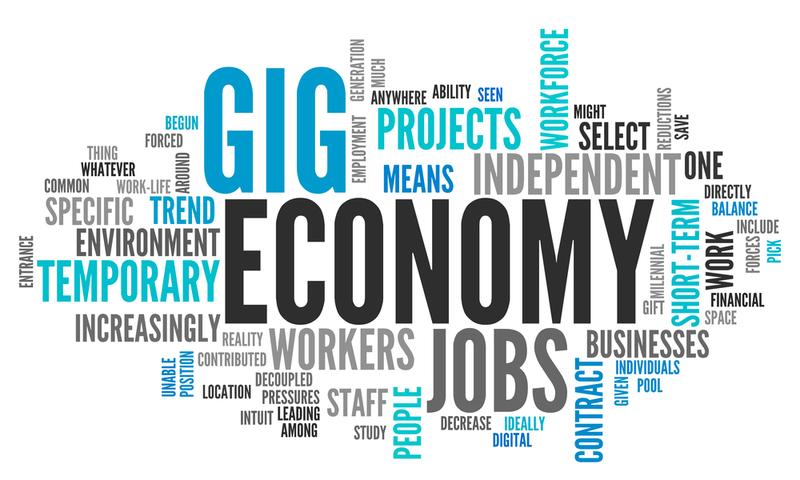 Although the gig economy and its close cousin the sharing economy have been around for a while, there appears to have been a marked increase in the number of individuals taking part in the gig economy, whether that’s to earn some extra income on top of their normal day job, or as a means to exclusively make a living. Within this trend, the OTS also estimates that the number of gig workers using a digital platform to find work will also increase at a steady pace. As around 1.3 million self-employed individuals are understood to spend at least some time working through an online platform, there is reason to continue monitoring the growth of this industry and ensuring that every platform worker who should be paying tax is. One difficulty in dealing with the gig economy from HMRC’s perspective is that many individuals who work within it may be unaware that the additional income they’re earning may be subject to income tax. While any tax that they make as employees is simply deducted at source from their earnings through PAYE, if a gig worker is self-employed then they may be required to submit a self-assessment tax return to HMRC and pay the associated tax on their earnings from their gig work. Although the new £1,000 allowances introduced by HMRC in respect of trading and property income should mean that a large number of gig workers do not have to submit tax returns, any workers with earnings over this amount would still need to consider whether they have a filing obligation with HMRC. A lack of knowledge of the UK’s complex tax system among gig economy and platform workers has led to fears that the gig economy could contribute to a growth in non-compliance for tax purposes, and may also increase the amount of tax undeclared in the hidden economy. Given that HMRC research has indicated “that a quarter of platform workers do not feel comfortable or capable of managing their own tax affairs” there is clearly an incentive to find a way that makes tax collection and reporting for self-employed platform workers as easy as possible. Employment status is a difficult area of tax at the best of times. Under employment law, there is a distinction between an employee, a worker (who has fewer rights than an employee), and a self-employed individual. However, for tax purposes, there is only a distinction between those that are self-employed (such as sole traders or partners in a partnership) and those that are employed. From a tax perspective, employed and self-employed individuals are both subject to income tax, but the rate of national insurance that each has to pay differs, with employees usually subject to higher rates. What’s more, the way that tax is collected depends on your employment status for tax – employed individuals pay their tax via PAYE, while self-employed individuals pay through self-assessment. It’s important to note that you cannot choose whether you are employed or self-employed for tax purposes, as the fact pattern of your working arrangements determines your employment status. Although the latest OTS report does not provide any comment on the issues of determining employment status for tax purposes when it comes to platform workers - a contentious issue at the moment given the legal battles some platforms are facing over their workers’ actual employment status - it nevertheless remains a crucial part of the overall puzzle when looking at how to get tax right for platform workers. Why introduce PAYE for platform workers? As part of its work as the government’s independent adviser on how to simplify the UK’s tax system, the OTS has considered a number of ways in which it could make the tax reporting and collection process more simple for self-employed workers within the gig economy, and their latest report looks at platform workers in particular. One of the OTS’ core proposals within their July 2018 paper is whether it would be possible to introduce, in essence, a PAYE system for self-employed platform workers. This would mean that online platforms could deduct the relevant amount of tax on the earnings made by the gig worker at source, and pay those deductions directly to HMRC. The OTS noted that, if such a system were introduced, the employment status of the worker would not be impacted (i.e. a self-employed worker would still be considered self-employed). What’s more, any such scheme would be optional, meaning that the worker could choose to remain outside any such PAYE system. The hope would be that, if such a system were introduced, the tax collection process would become much easier for both the worker and for HMRC. The gig worker would not have to submit a self-assessment tax return, and HMRC would be able to collect the relevant tax and national insurance that may otherwise have gone unreported. The proposal to introduce PAYE to platforms has had its fair share of advocates and critics. On the one hand, some have argued that having such a system in place could really help self-employed individuals get their tax right, and would spare small-scale platform workers from having to grapple with the complexities of the self-assessment tax system on their own. However, the OTS has also recognised that there could be drawbacks to any such proposal. For example, there would almost unavoidably be additional costs for platform operators if such a system came into force, and in a world of minimal margins and hefty competition, such costs could put a platform at a disadvantage to their competitors, unless all platforms were required to have such a withholding system in place. Others have argued that such a measure may actually add more complexity to the tax system, rather than achieve any dreams of simplification. Will such a proposal ever come into effect? Ultimately, the OTS is not responsible for making changes to the UK’s tax system, so if any changes were to happen, it would be at the instruction of the government. As such, the introduction of any PAYE system for platform workers is simply an idea at this point. However, given how close the PAYE proposal is in many ways to the current IR35 consultation in the private sector, it’s not unreasonable to think that HMRC would look at a withholding scheme for gig workers with some interest. If such a scheme came into existence, it wouldn’t be the first time that a particular set of workers became subject to their own tax rules. Subcontractors within the construction industry, for example, are subject to similar withholding requirements under the Construction Industry Scheme. Ultimately, anyone working in the gig economy through an online platform should continue to watch this space for any further developments. In the meantime, it’s worthwhile to make sure that, if you are self-employed, that your current tax and reporting obligations are up to date. Using online accounting software, such as the one provided by AccountsPortal, can really take the stress away when managing your tax obligations, as real-time reporting and an easy to use system mean that you can stay in control of your finances all year round. You can read the full paper by the OTS here.